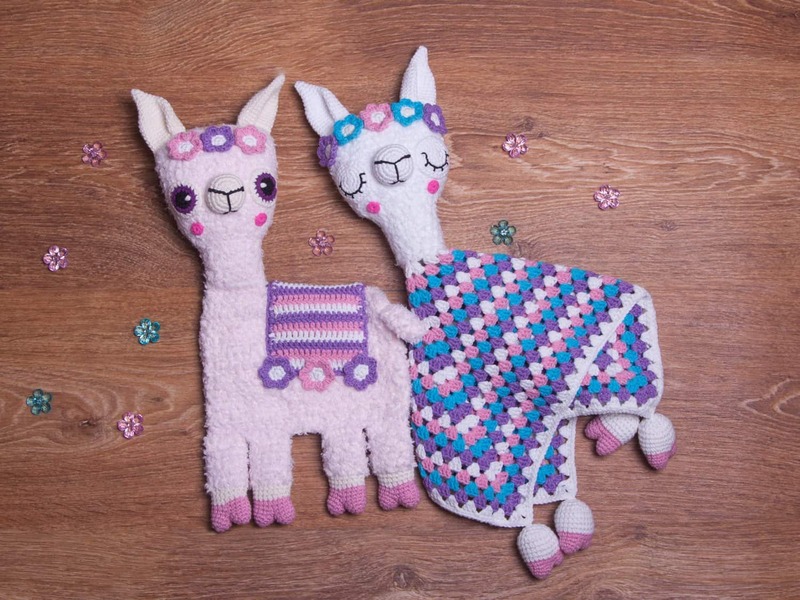 It doesn’t get any cuter than these loveable llama crochet patterns! From stuffies to blankets check out all of the wonderful ideas now! 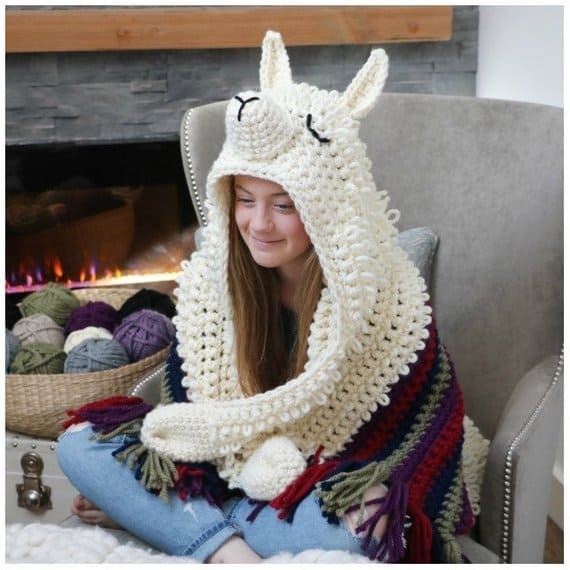 If you are embracing the llama craze you are going to LOVE today’s collection! 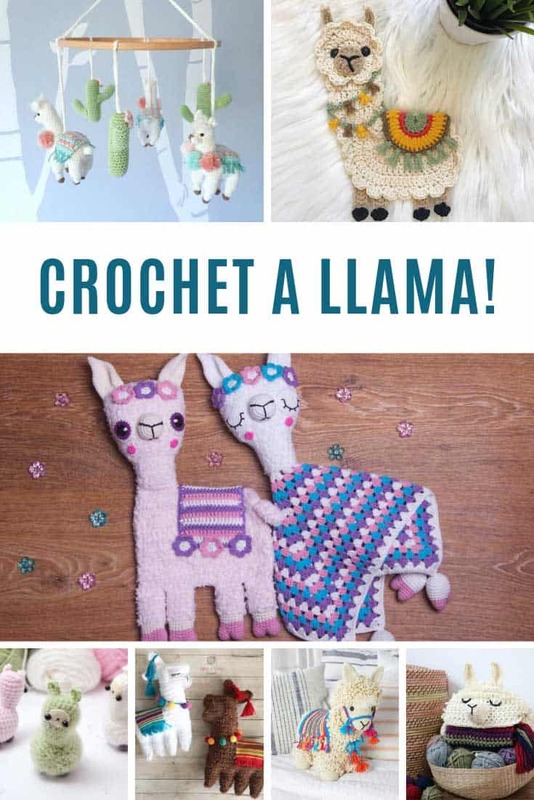 When I saw these llama crochet patterns I knew I had to share them with you, because it seems everyone is CRAZY about these fluffy animals! 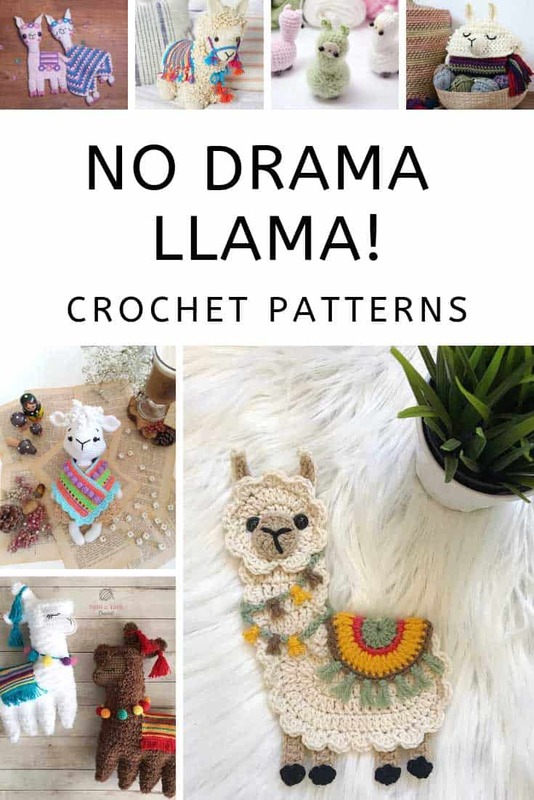 I found everything from stuffies and amigurumis to an amazing hooded blanket, a wonderful applique design and even a little llama pot you can use to hold your crochet hooks! 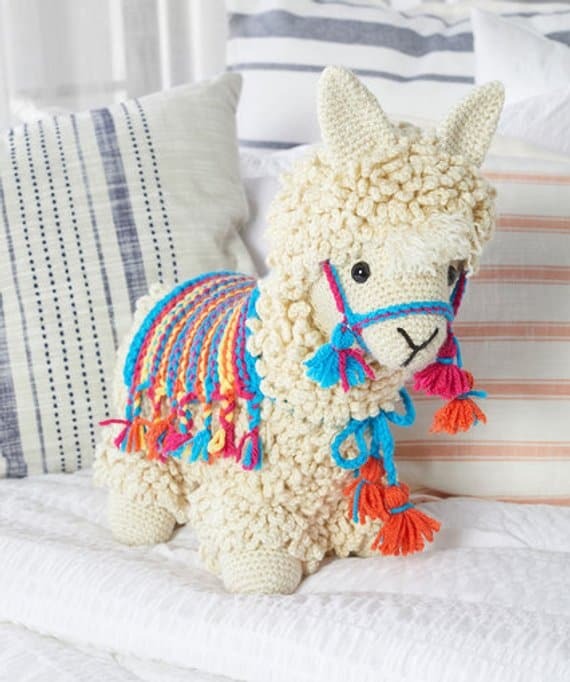 How FABULOUS is this cuddly llama? I love his wooly appearance and the brightly coloured blanket and headgear with those fabulous tassels! I think he’s the perfect addition to any sofa! He’d make a pretty cute doorstop too! Y’all can’t get enough of my baby shower crochet patterns so I knew I had to share this one with you. 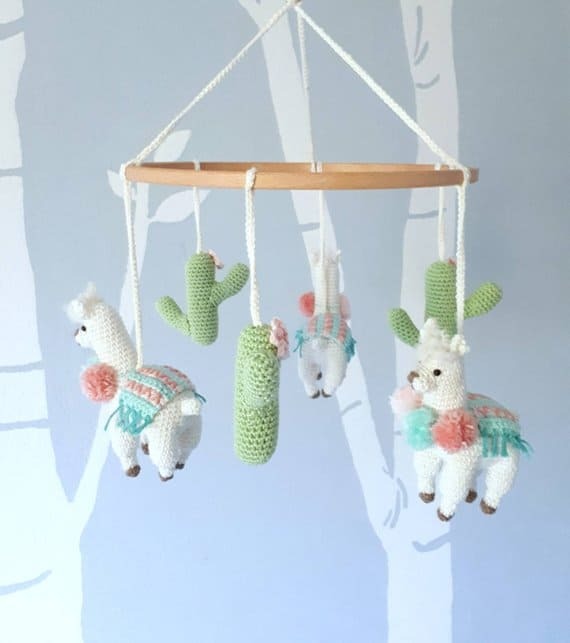 This llama baby mobile is super sweet with the little llamas and cactus plants. It’s the perfect gender neutral baby gift! Everyone is going crazy over my collection of crochet lovey patterns so I just had to share this pattern set with you! 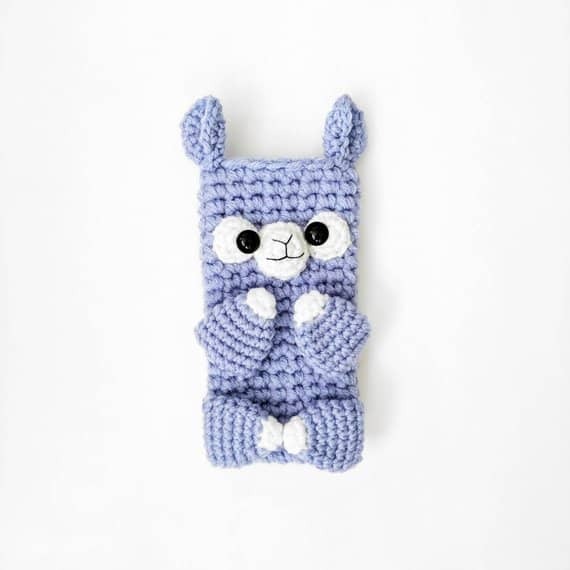 As well as a llama lovey security blanket you can also make a cute little ragdoll that is sure to be a firm favorite with any child! 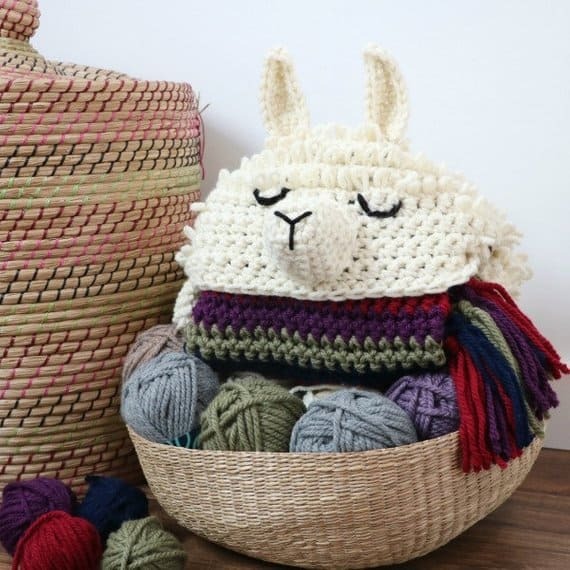 When I first saw this pattern I thought it was some sort of clever yarn storage basket, but it’s actually a hooded blanket that folds up into a pillow! It comes in child and adult size and is the perfect way to stay cozy on a Sunday afternoon! 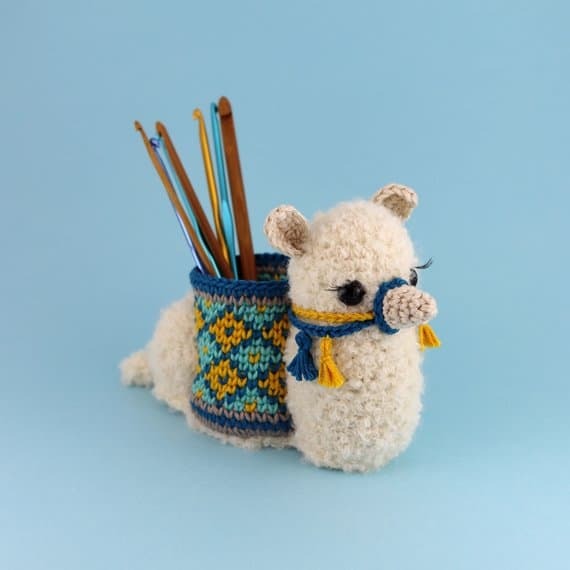 This amigurumi llama hook holder is so clever with the little basket to keep your crochet hooks in. It would also make a really unique gift for your child’s teacher to store her pencils in! 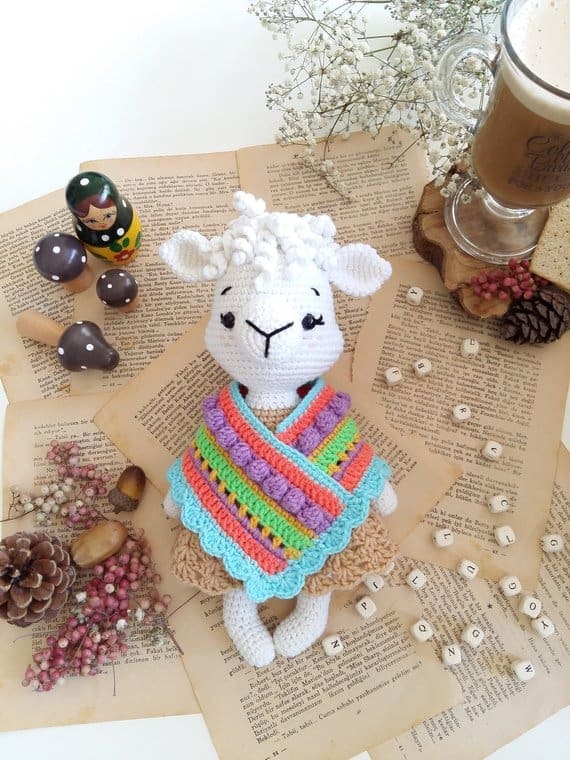 Here’s another amigurumi llama pattern but she’s an adorable little doll in her Mexican-style poncho! This pattern was written in Turkish and has been translated into English but it includes lots of photos so if you’re a confident crocheter you shouldn’t have any issues with it. 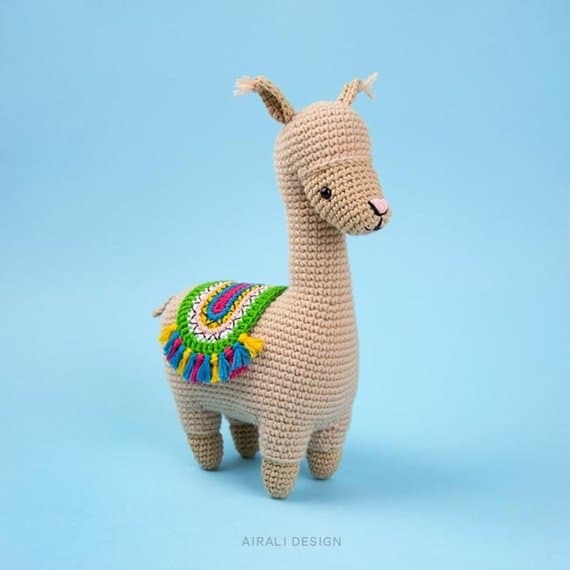 This little llama is known to his friends as Lonzo and he stands at about 9 inches tall making him a wonderful toy or a cute desk accessory! How cute are these ragdoll llamas? They remind me of a birthday party pinata! 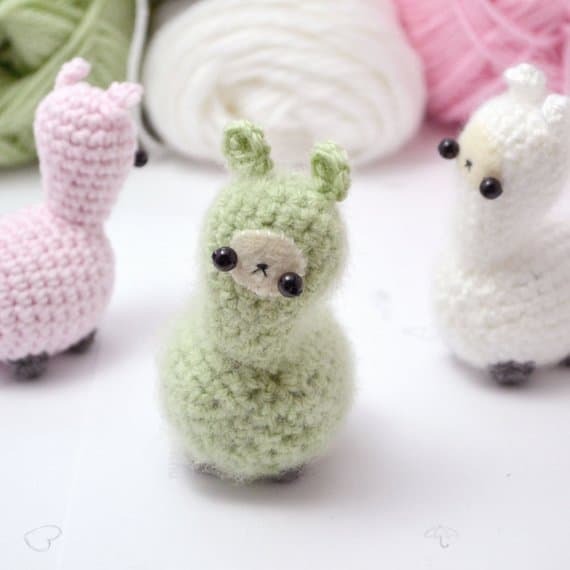 If you are a fan of teeny amigurumi you are going to fall in love with these super sweet little llamas! They’re easy to make and the pattern is simple to follow with lots of photos. If you’ve never tried amigurumi before you also get a beginner’s guide with left-handed as well as right-handed versions to help you get started. I love applique patterns because they’re so versatile. 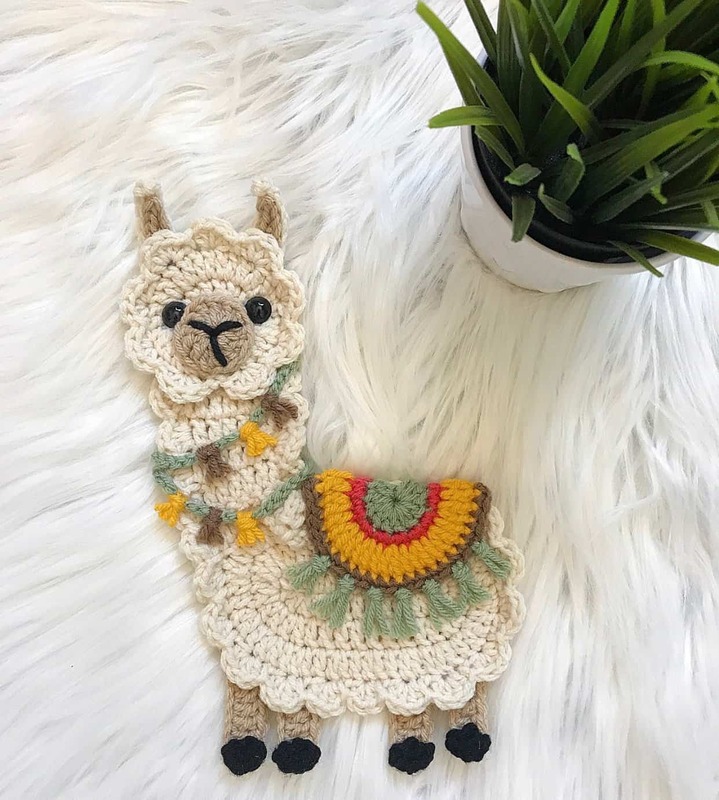 You could add this sweet little llama to a baby blanket, or pillow, or even use her to patch a hole in your daughter’s jeans! How cute is this little llama? He’s just ready and waiting to keep your phone safe from scratches! 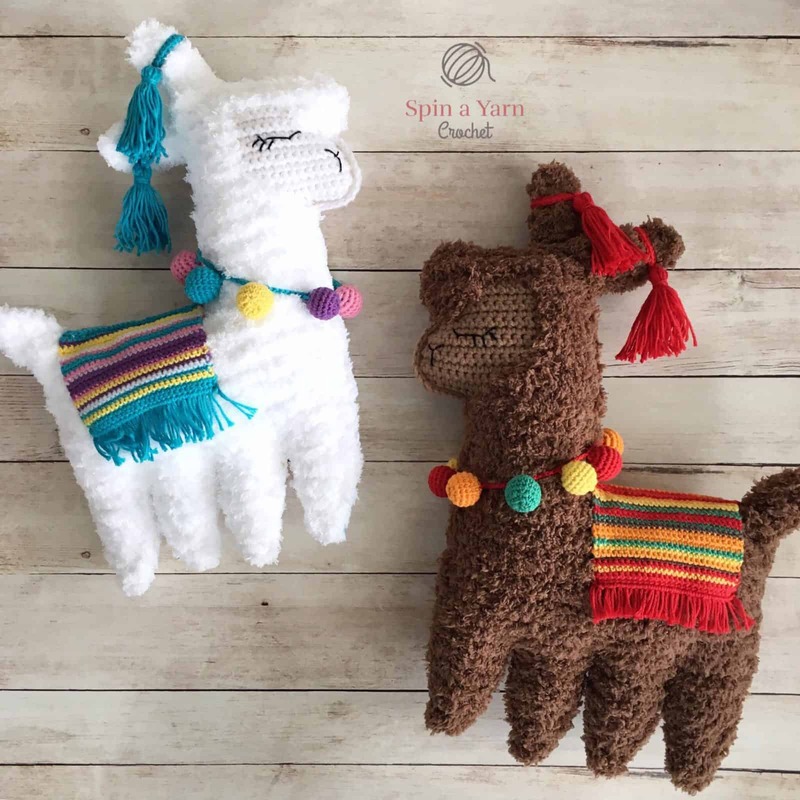 See I told you these crochet llama patterns were cute! 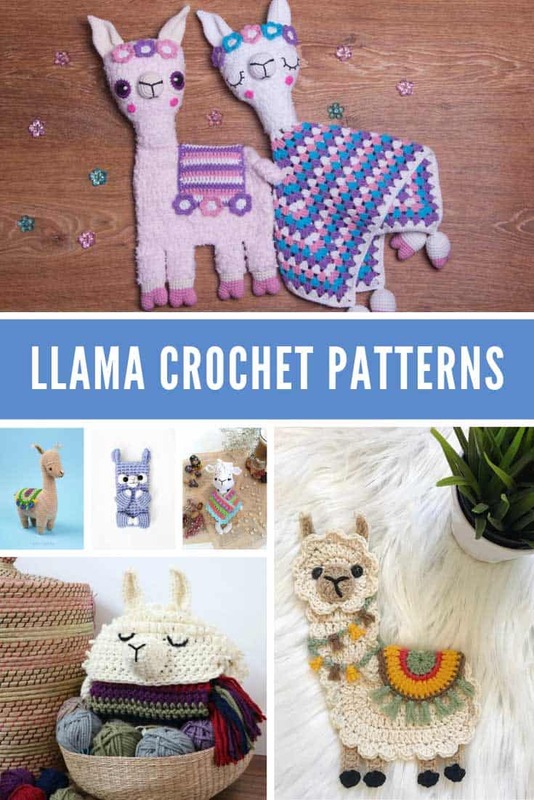 Keep scrolling to see more of our fabulous crochet pattern collections and don’t forget to save this post on Pinterest so you can come back to it later. Previous PostPrevious The Cutest Amigurumi Bunny Patterns with Clothes Perfect for Easter!